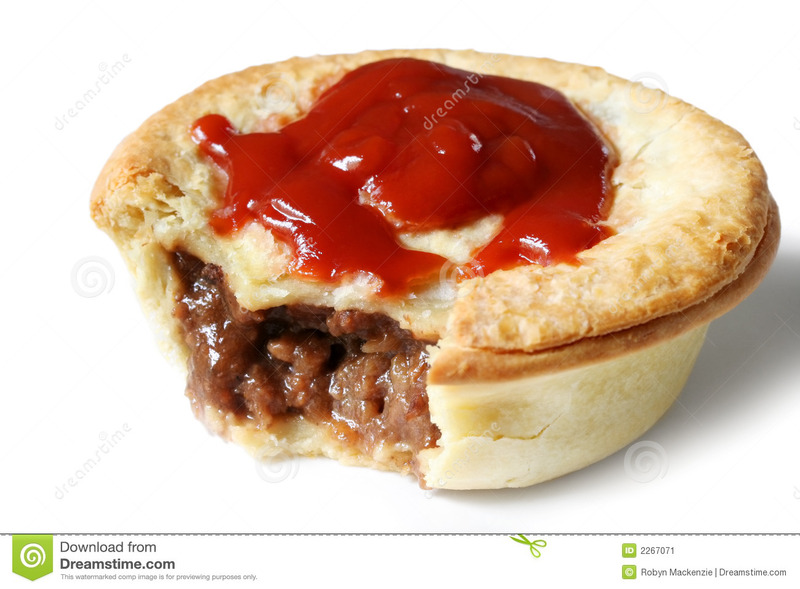 Aussie Meat Pie and Sauce. 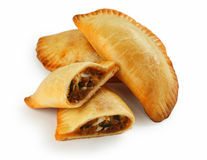 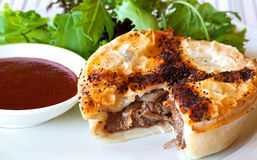 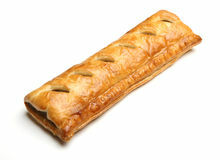 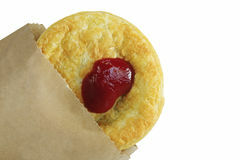 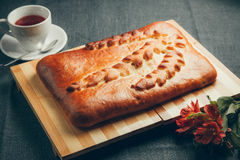 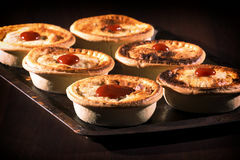 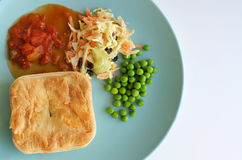 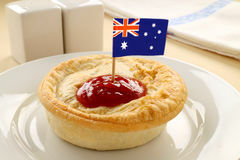 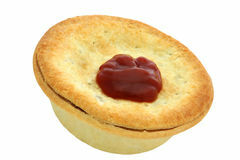 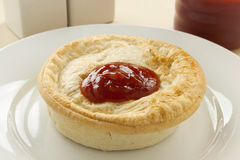 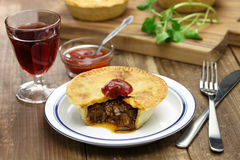 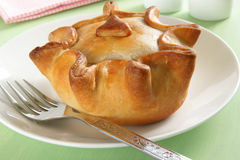 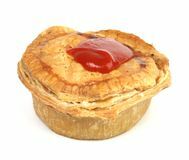 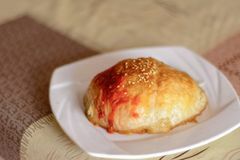 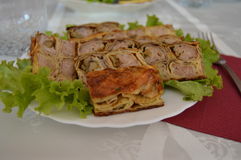 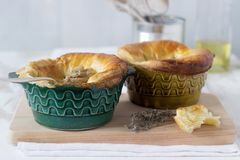 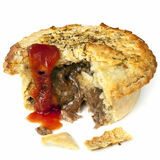 Australian meat pie and tomato sauce. 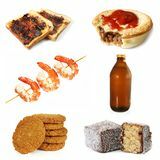 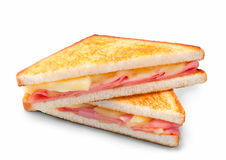 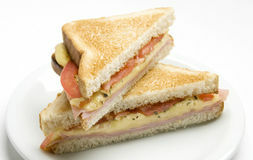 Traditional snack at Australian Rules football games.